Although there wasn’t much to report about I’m still alive. 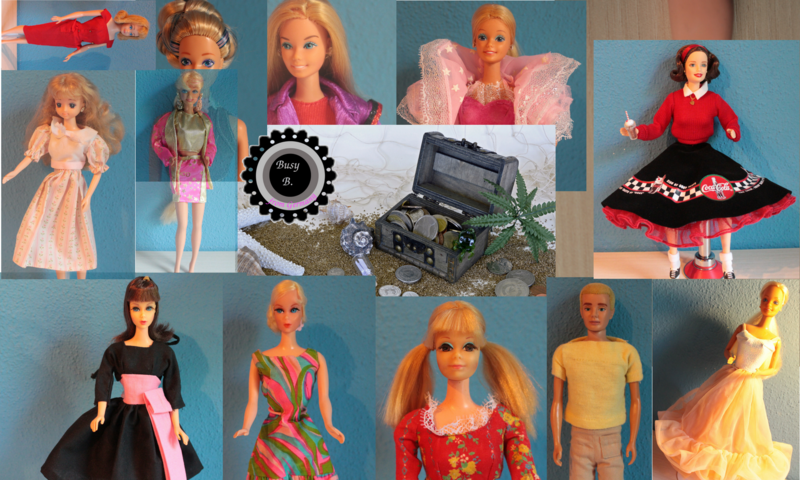 In the last weeks I waited for a tutorial which explains how to repair the old talking Barbie dolls from the late 1960s. I’m still waiting for several orders to arrive here. Hope they will arrive until Wednesday of the next week. Then I can start the adventure repairing a talking Barbie. 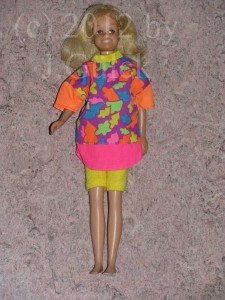 This time I would like to show you my very first Vintage Barbie family member. Vintage is the era called from 1959 to 1966/1967. I recently was able to buy a blond haired Skooter. She is an early friend of Barbies little sister Skipper. My Skotter hat straight legs. You can’t bend her legs. That means she is an early doll and belongs to the Vintage era. 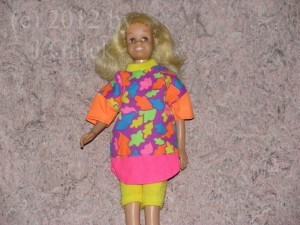 Skooter dolls produced after 1965 has a pink skin tone (not as pale as my Skooter is) and they had bendable legs. Furthermore I would like to tell that I bought her without clothes. The clothes Skooter is wearing are from the mid 1990s and were made for Skipper. Unfortunately I have no other clothes for her at the moment.